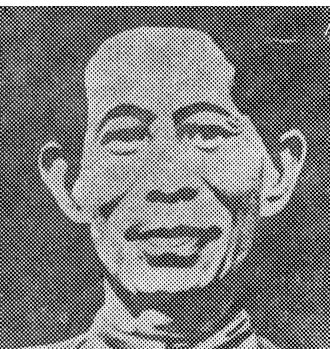 Jananeta Irabat, was a renaissance man. He was a versatile personality: Social reformer poet, artiste, intellectual, sportsman and revolutionary - all rolled into one. But he was a much misunderstood personality neglected, abused and forshaken by the elites and the mainstream people of the freedom struggle in Manipur. The last three decades of the 20th Century has resurrected him and raised him rightly to the pedestal of Jana-Neta (Leader of the people). The people have increasingly discovered the sterling qualities of his head and heart, his vision and the spirit of dedication to his land and her people. Hemango Biswas, his one time artiste colleague called him Simanta Prahari (Sentinel of the Frontier), which means sentinel of the Eastern Frontier. He has now become almost a legend and some simple villagers of Manipur (in 1955) that he would come back. For a proper assessment of his role as the leader of the people, we have to divide his life into three phrases viz. his role as a social reformer, a writer and theater personality after his baptism in the fight for freedom at the sight of Gandhiji (1922) at Calcutta before 1938, almost a prelude to politics; his plunge into politics as expressed in various movements of women and the common people after the Gandhian fashion with a difference, after his resignation from Sadar Panchayet membership in March 1939 and the last phase of his imprisonment in Sylhet District Jail, followed by his initiation into Marxist ideology and political exile in Cachar and Sylhet (now in Bangladesh) culminating in his going undergound since 1948 to the end of his life at the foot of Ang-go hills (Sept 26 1951). He had to fight at the same time of two front feudal and imperialistic, with all their instruments of torture and suppression of human liberty. His education outside Manipur opened his eyes and his initiation into Maxist ideology proved the turning point in his life of relentless struggle accompanied by endless suffering. His love for the common people, the oppressed and the damned, more particularly the peasants and the women, knew no bounds. Irabot was born at a time when other parts of India, particularly Bengal, witnessed a renaissance in thought and action. Even though he could complete his matriculation in Dhaka and Tripura, owing to sheer poverty, his impressionable mind like some of our pioneer poets, was exploded to the current blowing all around in India and he decided to do something for his mother Manipur. He expressed himself in the form of poetry and performing arts, besides being an excellent sportsman. He wrote a bunch of poetry particularly for school children entitled Sheidam Sheireng (1930) and started a hand-written magazine called Meetei Chanu (1922), the first magazine of its kind in Manipur, to be followed by other literry magazines. His first novel, Muhini was serialized in the journal, Yakairol since 1931 and so also his biography of Lokmanya Tilak, the great freedom fighter who happens to be his guru in politics, in the journal, Lalit Manuri Patrika since October 1931. He also wrote a play, Gomati and translated Bankimchandra’s novel, Krishna Kanter Will into Manipuri – both of which are still in manuscripts. But participation in modern Manipuri theatre as an artiste both in male and female roles was his strong point. He acted in Bengali plays during the early period (1915-20), and played the role of Kumud in his first historical play in Manipuri Nara Singh (1925). He was deeply associated with the theatre movement and created the symbol of two ploughs being crossed for the first theatrical group Manipur Dramatic Union (MDU, established in 1931), signifying ploughing the cultural soil of Manipur. His role of Chandra Singh in the social play of S. Lalit Singh, Areppa Marup, was memorable. He played the role of Baladeva in the Manipuri version of the play, Debala Devi. His contribution to modern Manipuri theater is indeed immense. Fortune favoured Irabat by this time. The king Churachand Singh arranged to give the hands of the daughter of his elder brother to him and he was appointed member of Sadar Panchayet court (the post of a magistrate) with all the privileges including a considerable plot of land. This was deliverately done in the hope that he would take the side of the feudal king supported by British imperalist. But this temptation could not compet Irabat to deviate from the path of service to the people and taking always the side of the oppressed people. He gave his heart and soul to the social reform movement which found expression in the establishment of Nikhil Hindu Manipuri Mahasabha (1939) with the king as the Chief patron. It has its memorable sessions in the framework of Pan-Manipuri movement, the second in Silchar (1939) and the third in Mandalay in Burma (now Mayanmar) in 1937. The spirit of the resolution in the various sessions represented a serious attempt at the removal of disparities, the oppression of the people in religious rites and rituals and heavy taxation in the guise of service in such forms of Chandan Senkahi, Hiyang, Pacha and Napet, etc. the most obnoxious of which being Pothang (forced labour) imosed on the common villagers for the comfort and safety of the nobles and petty officials. Irabat was, of course, in excellent company of writers and social activists in all these ventures and undoubtedly he took the lead. Manipuri Sahitya Parishad was established in 1935 and he was its first general secretary. It is also on record that he was the first person to wear khadi in Manipur. All these happened in the Indian context of Swadeshi movement in Bengal (1905) owing to proposed Bengal partition, the cries of Vande Mataram and advent of Mahatama Gandhi with his non-cooperation movements. Irabat and his colleagues could somehow attune themselves to this movement from freedom, though not so explicitly, by way of marking time. Somehow it remained a social reform and cultural awakening. It is interesting to recall that the Mandalay session in 1937 of the Mahasabha had as one of its resolutions that the Manipuris be asked to make themselves familiar with the Meitei Mayek (Manipuri script) which had become quite a cry at the moment. The second phase of his life began with his plunge into politics when Nikhil Hindu Manipuri Mahasabha dropped "Hindu" from it at its Ching-nga Session (Imphal) in 1938 and became a political organization. The king and his officials had to dissociate themselves from its functioning, Irabat had to resign from his post and among the leaders of the movement only Irabat and E. Tompok were entrusted with carrying the activities of the Mahasabha which was declared an illegal political organization in Feb. 1939 by the Manipur State Darbar. He had to sacrifice his landed properties as well as his dignified membership of Sadar Panchayet Court for the sake of his dedicated service to his motherland. It is perhaps time that we have a close look at the strategic perspective of the movement, both social and political, initiated by Irabat and his followers as a long-drawn out hegemonic struggle or in Gramscian terms, a way of position. By hegemonic struggle, we mean a struggle for the minds and hearts of men and women so that the nationalist influence would continuously grow among the people through different channels. The movement alternated between the phases of the extralegal of law-breaking mass movements and phase of the functioning within the four walls of the law. Both phases were geared to expanding the influence of the national movement among the people. The masses had to be politicized and acitvised: the masses who suffered from the double torrute of deudal system and colonial authorities. Their belief system or ideology as expressed in humiliating submission to the king and the British officials had to be overthrown. The long drawn out character of the hegemonic struggle may be described as Struggle-Truce-Struggle (S-T-S) a phase of vigorous extra legal mass movement and open confrontations with the authorities being followed by a comparatively passive phase in the form of constructive work, social reform and reorganization of workers, peasants, the women and the youth. When the opportune moment arrives, this would be followed by extra-legal mass movements. Thus the political struggle is perpetual. As Gandhiji used to say, Suspension of civil disobedience does not mean suspension of war". Irabat had to adopt to S-T-S strategy which applied to India’s Freedom Struggle also. On the social and cultural front he had to face the bitter music of Mangba-Sengba (pollution and restitution) a widely practiced, but unlawful, form of extortion charges imposed on the public by the members of Brahma Babha of which the king happened to be the Chairman. During the thirties, this Mangba-Sengba scandal swept over Manipur like a plague, leading to excommunication of the thousands of the poor people which the state Darbar had to check ultimately. The Mahasabha had religious reform wing (Goura Dharma Pracharini Sabha) which came to the rescue of the helpless people. The fourth session session of the Mahasabha over which Irabat presided had, among its resolutions numbering about 30, such dedications s demanding a legislative Body and release of Gaidinliu from the jail, which proved too much for the authority to bear. Most of the decisions dealt with social reform and other matters of political nature. This was followed by another memorandum submitted by a few educated Manipuris to the Maharaja demanding reforms in administrations. The reactions of the President of the Darbar, Mr. Macdonald was characteristic: "Democracy is, after all, much more foreign to Manipur than Manchester cloth". The outbreak of Nupilal (Women’s war) on Dec. 12, 1939 over the issue of rice export, in which several hundred Manipuri women came to the state office and gheraoed the President (Mr. T.A. Sharpe), leading to bayonet charge by a detachment of Assam Rifles, represented a spontaneous eruption of the suppressed energy of the exploited people. The spark was, of course, set off by the rice export of the Monopolists. Irabot was not present in Manipur on this day. But he came back from Cachar and addressed public meetings with strongly worded speeches, which the authorities considered seditious. He was arrested from his house on Jan 9, 1940 and tried by Manipur State Durbar on March 21, 1940. there had been already a split in Jan – 1940 in the Mahasabha over the issue of extending support to the Women’s movement and Irabat formed a new group under the style of Manipur Praja Sanmelani. The result of the trial was that Irabat was convicted and sentenced to 3 years. This marked the end of the second phase of his life dedicated to social and cultural awakening in the back-ground of politics. He made contacts with the communits while he was in Sylhet Jail (1942-1943) and became a communist leader representing North-east India in various political conferences. He wrote a few poems in Sylhet Jail, full of patriotic fervour and charged with modernist rhythm, which was published in as late as 1987 under the title, Imagi-Puja (Worship of the Mother). While working among the peasants in Sylhet and Cachar, his creative spirit found expression in songs and dances associated with I.P.T.A. movement and arouse the artistic consciousness of the villagers. He was allowed to enter Manipur only in March, 1946. He got himself merged in the constructive phase of the struggle and was responsible for creating various organizations like Krishak Sabha Praja Mandal, Praja Sanmelani, Mahila Sanmelani, Youth League, etc. After the historic Pungdongbam incident in which a potice offical was shot dead in the scuffle between the police force and peaceful processionists on their way to attend a protest meeting at MDU Hall at Imphal against the proposted creation of Purbanchal, Irabat and the CPI had to go underground. Dr. Venkat Rao is strongly of the view that Irabat was the father of Manipur insurgency and dreamt of Manipur being a sovereign democratic republic. It is debatable. The last part of his underground activities was shrouded in mystery. But he was undoubtedly a brave freedom fighter arousing the social, political and cultural consciousness of the people of Manipur and even outside with his relentless hard work, mixing with the peasants and remarkable creative expression. He was a Jana-Neta in the real sense of the term and it appears that History has at last done justice to him. Hijam Irabat and Political Movement in Manipur by Karam Manimohan Singh (1989). Irabat: (Ed) Irabat Center for Marxist Studies, Imphal, 1988. India’s struggle for Independence (1857-1947) by Bipin Chandra, 1989. Seminar on Jana Neta Irabat: Irabat Birthday Celebration Committee, CPI Manipur, 1995.